Every week end my kids ask me for special breakfast, sometimes I make the same things over and ver again. Other times I like to experiment, like int his case. 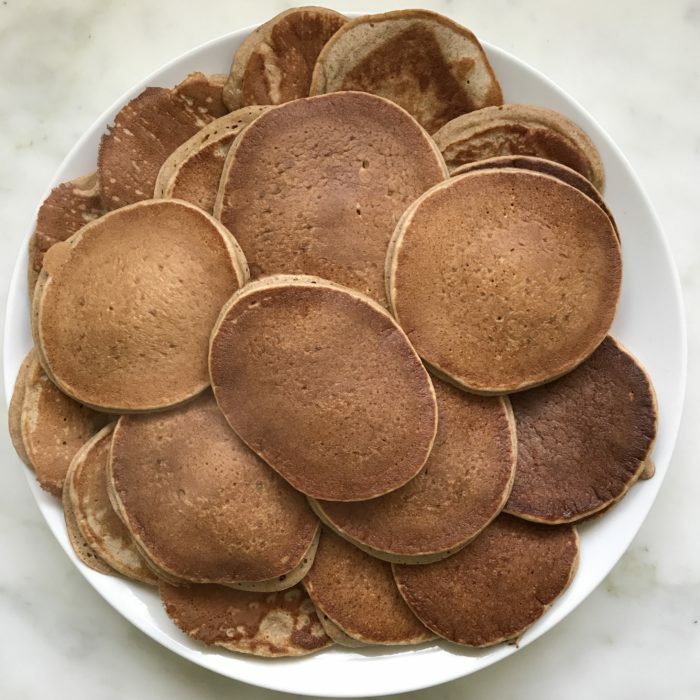 I fell that making these with banana and wholewheat flour make them a more sustainable breakfast, and healthy enough that even I will have some! In a large bowl mix the bananas with the eggs, milk, oil (or butter) and vanilla until nicely combined. Add the dry ingredients until smooth. Heat up a large pan with coconut oil and cook 1/4 cup of the batter to make nice size pancakes. Flip over when bubbles appear and keep going until you run out of batter.